2018 Kia Rio: Coming Soon! News of the fourth generation 2018 Kia Rio is starting to appear. Listed here is what we know so far. The music video clips, accompanied the all-new Kia Picanto and Rio, capture a vibrant and lively sentiment as Kate Kim and Lee Radde drive around the urban landscape displaying the dynamic vibes and exciting potential of city life made possible with Kia. Continue reading. Ted Lancaster, vice president and COO of Kia Canada, said that the connected car wireless service will be free for the first five years, and will be launched with the 2018 Kia Optima and the “all-new” 2018 Kia Rio 5-door. Continue reading. The previous Rio already was strikingly posed, thanks to Kia's now-trademark robotic-grimace grille (called "Tiger nose" by Kia), but the 2018 edition doubles down on the techy demeanor with a smoother, thinner grin, newly designed, swept-back headlights and fog-lamp surrounds pushed farther to the fascia's edges. Continue reading. Kia took the top spot in J.D. Power's annual report card on vehicle quality for a second consecutive year, as industry ratings reached a new record and domestic brands maintained their edge over foreign rivals. Continue reading. The U.S. launch includes never-before-seen updates to the 2018 Kia Rio. Continue reading. 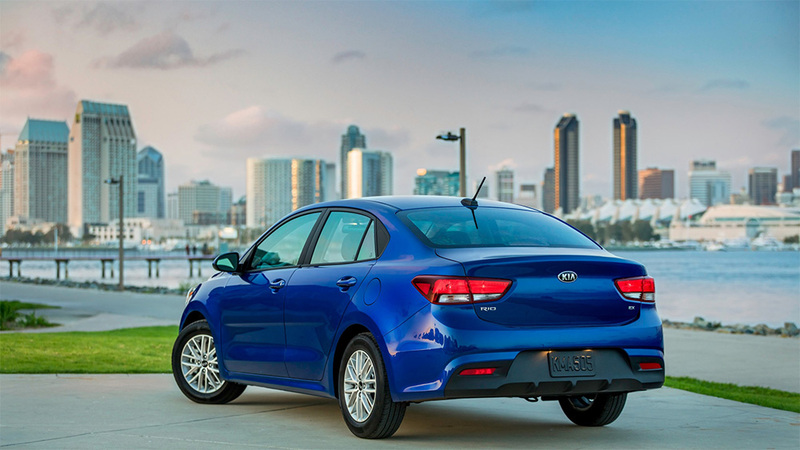 The 2018 Kia Rio is classified as a subcompact car, but in its fourth generation, it offers a lot for its size. Continue reading. The all-new 2018 Kia Rio 5-door will feature 5 years of free Bell Mobility wireless service. Continue reading. Explore the All-New 2018 Kia Rio Continue reading.